More than a century after Ciamician first envisaged artificial photosynthesis as a means of weaning ourselves off fossil fuels, the quest to make it a reality continues, and with a renewed urgency. While solar panels are straining at the theoretical limits of their efficiency, seeking to break free, there’s still a place for artificial photosynthesis, which was for a long time a forgotten cousin. It seems likely that people will continue to want liquid and solid fuels that can be burned, whereas solar panels can only provide us with electricity. Climate change provides a new impetus for artificial photosynthesis research. Plants do something else that’s immensely useful: sequester carbon dioxide. Most of the climate models that allow us to meet the Paris agreement limit of 2 degrees Celsius require large amounts of bio-energy with carbon capture and storage. This is a negative emissions technology where plants capture carbon dioxide, they’re converted into biofuels, and when those fuels are burned, the carbon is captured and sequestered underground. 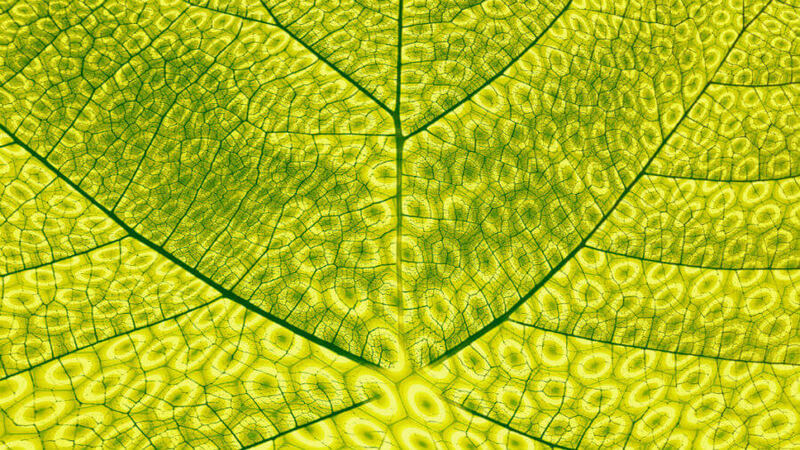 Artificial photosynthesis can be a carbon-negative source of liquid fuels like ethanol. Green advocates have often touted the “hydrogen economy” as a solution to the problem of reducing carbon emissions. Instead of replacing our entire infrastructure—with its reliance on solid and liquid fuels—we simply replace the fuels. Fuels like hydrogen or ethanol could be produced ultimately via solar power, as in artificial photosynthesis, so we could continue using liquid fuels with less environmental damage. Electrifying everything may turn out to be more difficult than just switching petrol for ethanol. So artificial photosynthesis is clearly worth researching, and recently great strides have been made. Huge investment from governments and from charitable entrepreneurs like Bill Gates has gone into solar fuels. There are several different photochemical processes being investigated, but some of them already have the potential to be more efficient than plants for our purposes. A paper from the US Department of Energy’s Lawrence Berkeley National Laboratory published in Energy and Environmental Science in September 2017 describes a new process that can convert CO2 into ethanol—which can be used as a fuel and already makes up 10 percent of gasoline in the US—and ethylene, which is an important chemical used in industry, perhaps most famously as polyethylene plastic. This was the first demonstration of successful direct conversion of carbon dioxide into fuels and plastic precursors. A recent paper published in Nature Catalysis this year discusses a technique whereby photovoltaic panels are hooked up to a device that electrolyzes carbon dioxide. Then a microbe that respires anaerobically converts carbon dioxide and water, alongside the electrical energy collected from the solar panels, into butanol. They noted that their ability to convert the electrical energy into desired products was close to 100 percent, and the system as a whole could reach up to 8 percent efficiency in converting sunlight into fuels. This may not sound like much, but 20 percent is good for solar panels directly converting to electricity; even the most productive plants, such as sugarcane and switchgrass, only reach around 6 percent efficiency. It compares very favorably with some of the biofuels that are in use at the moment, like corn bioethanol, as corn is notoriously less efficient at converting sunlight into stored energy. Other forms of artificial photosynthesis focus on the potential surrounding hydrogen as a fuel. Researchers at Harvard recently came up with an impressive version of a “bionic leaf” that can convert solar energy into hydrogen. One notable advantage is that its efficiency climbs rapidly if you expose the leaf to pure CO2. If we are going to live in a future where vast amounts of carbon dioxide are pulled from the atmosphere, we now have a pretty good use for it. Although in recent years people have been less keen on the idea (the thermodynamics of using electricity to split water into hydrogen and oxygen is not always ideal) there is still intensive research going into hydrogen fuel cell cars and hydrogen for heating homes, especially in Japan. One concern with any effort towards artificial photosynthesis is that the more steps you have in the conversion process, the more energy will be lost along the way. Using electrified appliances with energy generated directly from the sun would be far more efficient than any scheme to turn electricity and carbon dioxide into fuel, which you then burn to recover a fraction of the electricity input. In addition, from an environmental and practical perspective, constructing billions of artificial plants may wind up being far less feasible than sowing seeds for a few well-chosen biofuels. On the other hand, those plants often require good topsoil, which is rapidly degrading due to agricultural pressure. Biofuels are already looked on with suspicion due to their potential to use up land that would otherwise feed an ever-growing population. One major bonus to artificial photosynthesis is that you could see these “plants” bloom in the desert, or even on the oceans. Batteries may emerge as a better way of creating energy storage that’s both portable and highly compact, like liquid fuels or hydrogen can be. As is so often the case in science, we draw our inspiration from the natural world—but understanding it, controlling it, and even improving on it is quite a challenge.